Brian Spadora chose son William's middle name: Ignatius, after the saint. Editor’s note: Brian Spadora lives and writes in New Jersey, where he attends Seton Hall University School of Law. Follow him on Twitter at @brianspadora. (CNN) - Like many Catholics my age, I am Catholic in name only. I went to Mass every week as a kid and attended a Jesuit high school and college. My wife and I married in a Catholic church, and both of our children were baptized. But I haven’t been a churchgoer since I became too old for my mother to coerce me into a pew. I haven’t even made the effort to attend Mass twice a year like “Christmas and Easter Catholics.” For my entire adult life, my Catholic faith has been a sort of cultural vestige, like the Italian, Irish and Slovak ethnic heritage from which I’m generations removed. Despite this, this month I decided I am returning to the church. This turn of events is not quite as miraculous as the multiplication of loaves and fishes, but it’s pretty surprising. It began, innocently enough, with a half-serious promise to my devout Catholic mother. Then, along with the rest of the world, I heard the announcement that Cardinal Jorge Mario Bergoglio of Argentina became Pope Francis, the 266th pope – and the first Jesuit. I was in the car when I heard the news, and I literally cheered aloud. While I had long ago left the church behind, my regard for the Jesuit order never wavered. The elevation of a Jesuit to the papacy is enough to do what years of prodding by my own mother couldn’t. I owe nearly everything I value in my life to Jesuit education. I entered St. Peter’s Preparatory School in Jersey City, New Jersey, in 1990 as a rambunctious 14-year-old with authority issues. My four years there upended all my conceptions of religion. St. Peter’s, or “the Prep” as we alums call it, taught me how to be an adult, a friend and a Christian. The Jesuits taught me how to love. During my junior year, a group of friends and I participated in the school’s retreat program. We spent a weekend with faculty retreat leaders in an old house on the Jersey shore, cooking meals together, laughing and praying. We spoke openly about our joys and our pain, as well. We learned that each of us carried within him a burden that could be lightened only by friendship. Our retreat leaders didn’t need to tell us that relieving the burdens of others was the purpose of Christianity. Instead, they lived that example. We were fortunate to attend a school like the Prep, and it wasn’t enough to study hard and get good grades. We had an obligation – to ourselves and to God – to serve one another and our communities. The relationships I made during those years remain the strongest in my life, including with my wife, whom I met when we were 17, while she attended the Prep’s sister school. This teaching was firmly in line with the teachings of St. Ignatius of Loyola, who founded the Society of Jesus, as the Jesuits are formally known, in 1540. St. Ignatius had been a Basque soldier, as well as something of a ladies’ man, until his conversion while convalescing after a cannonball shattered his leg. In his writings, most notably in his “Spiritual Exercises,” St. Ignatius espoused a theology based on loving deeds rather than loving thoughts or words. St. Ignatius calls us not merely to worship Christ but to imitate him. As a teenager, I naturally fell far short of the standard my Jesuit teachers had called me to, and I continue to fall short as an adult. I grew alienated from the church due to what I perceive to be inflexibility on issues like contraception, homosexuality and the role of women in the church, but I continued to look to the example of service the Jesuits set through institutions like the Jesuit Refugee Service. In times of crisis, I’ve turned to contemporary Jesuit writers, particularly Father James Martin. Although I left the church, the Jesuits never left me. I’ve remained close to the Prep and the Jesuits whose instruction was so valuable to me. 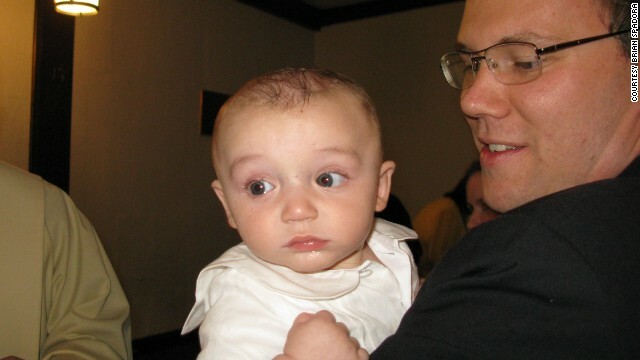 When my son, William, was baptized in 2008, the ceremony was held in the Prep’s chapel. The school’s president, Father Robert Reiser, once my teacher and now a treasured friend, was the priest. My closest high school friend, Michael Zakhar, was the godfather. My wife, Tara, and I chose William’s first name together, but she allowed me to choose his middle name: Ignatius. Now there is no longer the church I left and the Jesuits I embrace but a church led by a Jesuit. I know the church won’t transform immediately into the type of institution I’d like it to me. It would be unreasonable and selfish for me to expect otherwise. As a cardinal, Francis expressed conservative views like his opposition to adoptions by homosexuals, a view with which I disagree assiduously. On the other hand, he admonished an audience of Argentinian priests for forgetting the church’s obligations to society’s most vulnerable. Francis seems intent on refocusing the church toward its duties to serve those in need. So on Good Friday, I’ll be returning to the church with hope that Francis’ example will inspire me - and Catholics in general - as his fellow Jesuits have always inspired me. I’m keeping my word to my mother and returning to Mass, where I will pray for the strength to follow the example of St. Ignatius, loving others not in word only but in deed. The opinions expressed are solely those of Brian Spadora. Since the beginning of man's mental development, there has been an insatiable need to know why we are here. Living a good life, giving hope and confidence to the downtrodden, and believing in more than man can comprehend certainly helps to provide hope in each of our lives. Thanks for your story Brian. May God's will and Christ's teachings be shown through and by each of us everyday. May Pope Francis serve as a contemporary and accessible example of same. Blessings too on William Ignatius! I enjoyed the article too Brian. Thank you for sharing; beautifully written (educational, informative, personal, inspiring and nonjudgmental. I am still a practicing Catholic, I went through the "I'm out" phase but came back. I loved you article, Pope Francis seems to be a very kind man and maybe things can turn around for our church. For all of you non-believers posting on this: At no point in his blog did he say that his opinions were right and that yours were wrong. If you don't like articles about religion/God...DON'T READ THEM. I don't post comment about religion on athiest/agnostic blogs. The gist of the story was "be kind to others", i'm pretty sure making fun of someone for what they believe doesn't fall in line with that!.